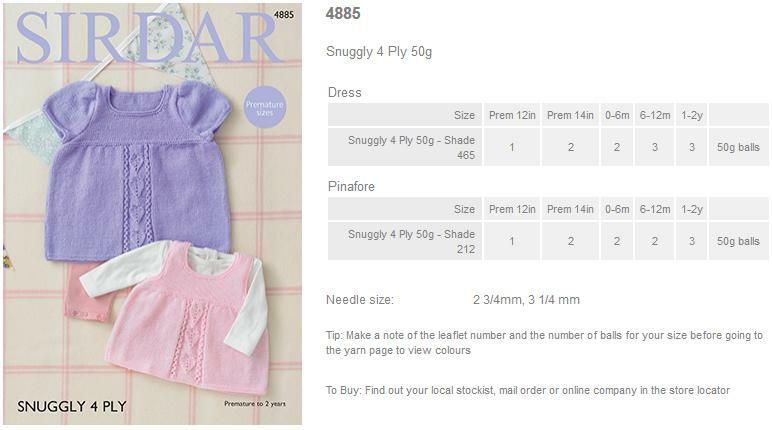 4885 - Dress and Pinafore using Snuggly 4Ply Leaflet with designs for a Dress and Pinafore using Snuggly 4Ply using Sirdar Snuggly 4Ply. 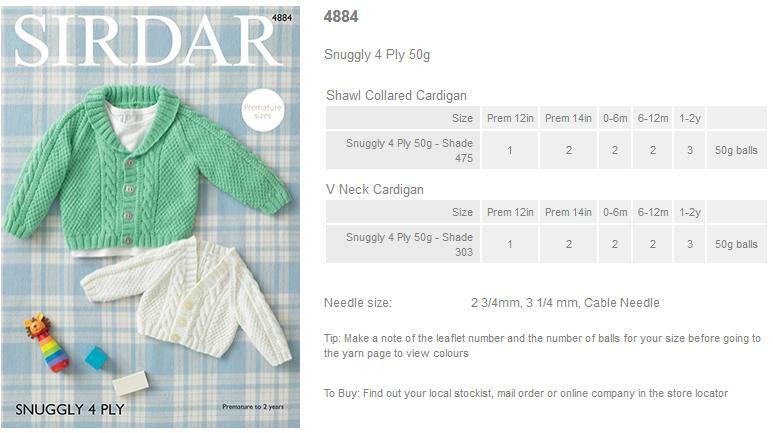 4884 - Shawl Collared and V Neck Cardigans using Snuggly 4Ply Leaflet with designs for a Shawl Collared and V Neck Cardigans using Snuggly 4Ply using Sirdar Snuggly 4Ply. 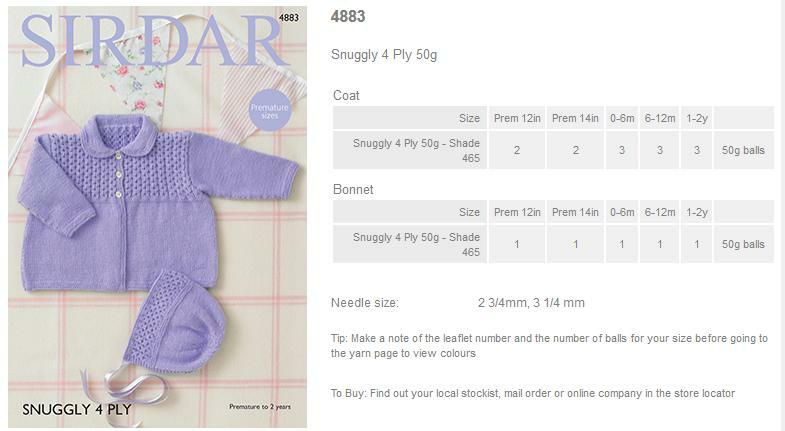 4883 - Coat and Bonnet using Snuggly 4Ply Leaflet with designs for a Coat and Bonnet using Snuggly 4Ply using Sirdar Snuggly 4Ply. 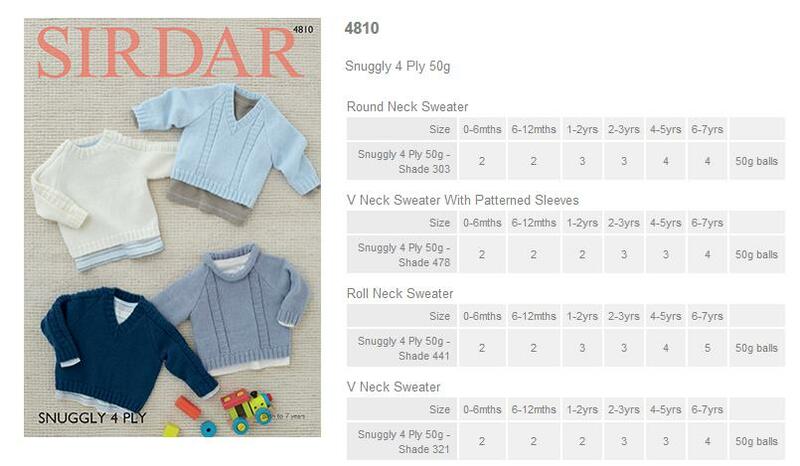 4810 - Boys Sweaters using Snuggly 4Ply Leaflet with designs for Boys Sweaters using Snuggly 4Ply using Sirdar Snuggly 4Ply. 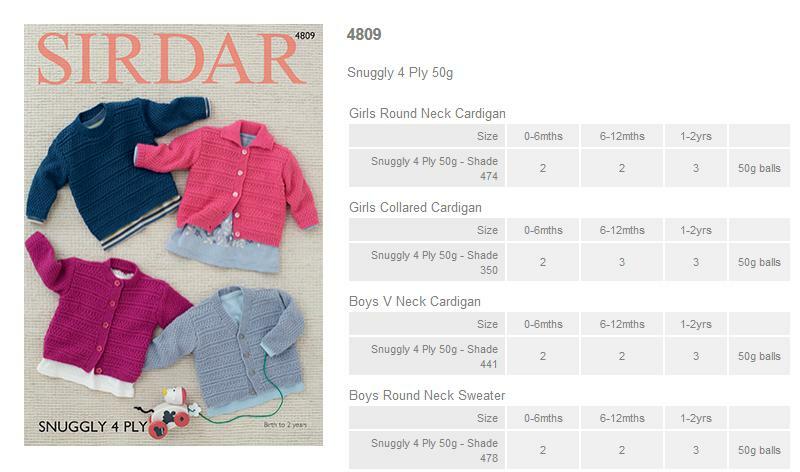 4809 - Boys and Girls Cardigans and Sweaters using Snuggly 4Ply Leaflet with designs for Boys and Girls Cardigans and Sweaters using Snuggly 4Ply using Sirdar Snuggly 4Ply. 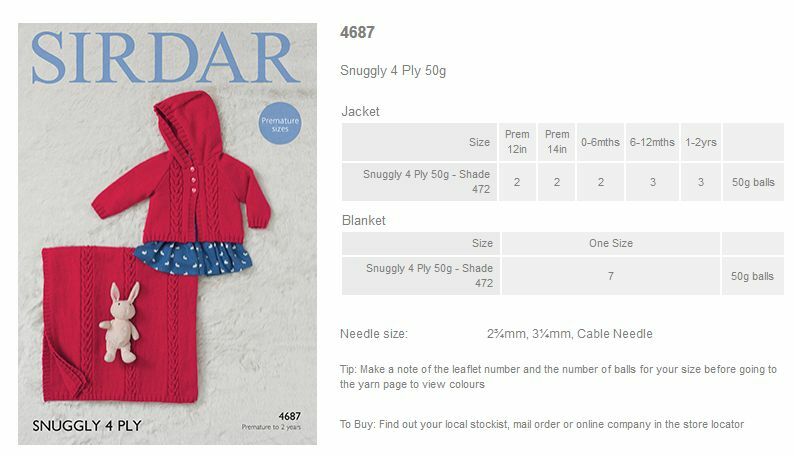 4808 - Blanket and Hoodie using Snuggly 4Ply Leaflet with designs for a Blanket and Hoodie using Snuggly 4Ply using Sirdar Snuggly 4Ply. 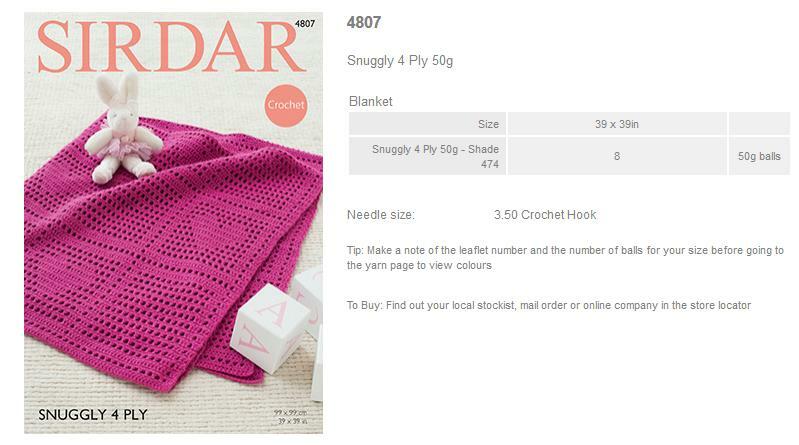 4807 - Blanket using Snuggly 4Ply Leaflet with designs for a Blanket using Snuggly 4Ply using Sirdar Snuggly 4Ply. 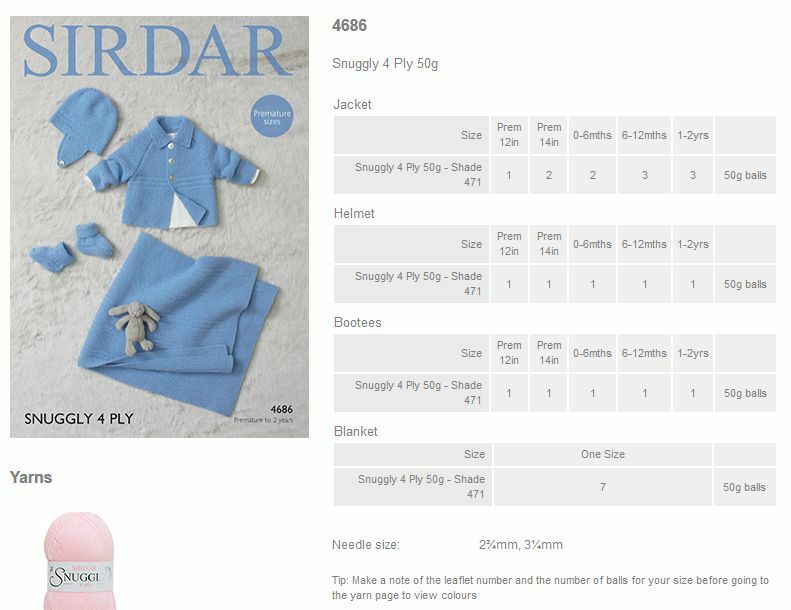 4687 - Jacket and Blanket using Snuggly 4Ply Leaflet with designs for a Jacket and Blanket using Snuggly 4Ply using Sirdar Snuggly 4Ply. 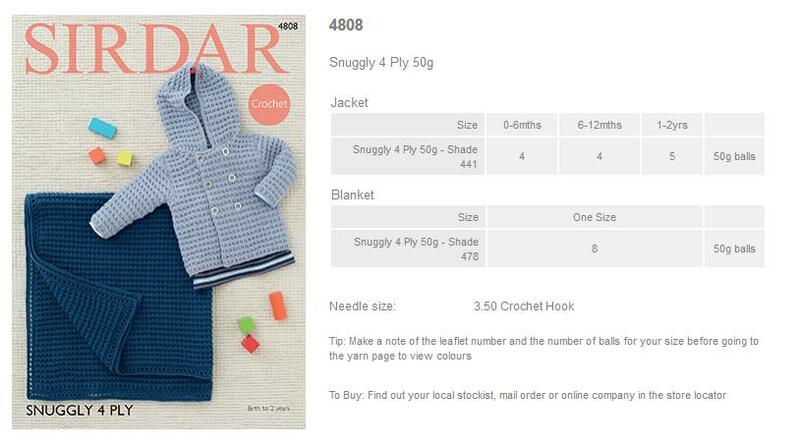 4686 - Jacket and Helmet using Snuggly 4Ply Leaflet with designs for a Jacket and Helmet using Snuggly 4Ply using Sirdar Snuggly 4Ply.